The Clean Room Monitor HAWKEYE PRO ETH from RADIX offers a state-of-the-art technology solution for Relative Humidity, Temperature and Differential Pressure measurement for Clean Rooms. With unique LCD display, it can directly be connected to a SCADA software over a LAN by its ETHERNET port. 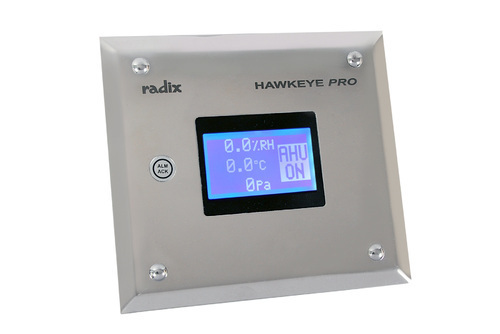 The Clean Room Monitor HAWKEYE PRO ETH from RADIX offers a state-of-the-art technology solution for Relative Humidity,Temperature and Differential Pressure measurement for Clean Rooms.